May’s birthstone is the Emerald, and the only city made entirely out of the dragon scale gem stands at the end of the yellow brick road. There are those that believe L. Frank Baum’s 1900 classic is a political allegory, and the yellow bricks represent the gold standard. It’s time to win some bullion. Four events are promising $25,000+ buy-in events throughout May, and we begin in chronological order. 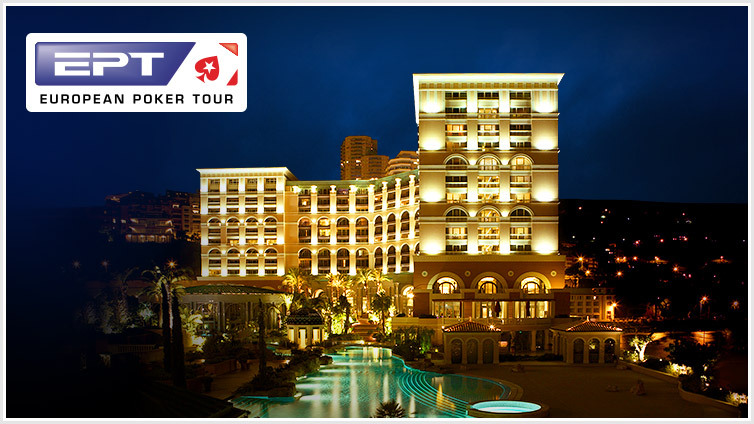 PokerStars’ European Poker Tour arrives at the Monte Carlo Bay Hotel & Casino in Monte Carlo gagging for action: 25 April through to the 4 May. The €100,000 No-Limit Hold’em Super High Roller will be done and dusted before the start of May, as will a €25,000 and €50,000 buy-in event. That leaves these two beauties. Last season, Sam Greenwood defeated 46-entrants to win the €100,000 buy-in event for €1,520,000. Steve O’Dwyer climbed on top of 41-bodies to take down the €50,000 game for €676,300. Justin Bonomo won two of the three €25,000 events for more than €600,000, combined, and Albert Daher won the 91-entrant €25,000 No-Limit Hold’em EPT High Roller for €595,386. After Monte-Carlo, the best in the business head to the Maestral Resort and Casino in Montenegro for the most ambitious Triton Poker Series to date. There are ten events on tap, including the highest stakes cash games anywhere in the world. Last season, Phil Ivey defeated 61-entrants to win the $604,992 first prize in the HKD 250,000 Short-Deck event, and Jason Koon took down the HKD 1,000,000 Short-Deck Main Event besting a field of 103-entrants to win a personal best $3,579,836. In the No-Limit Hold’em events, Triton founder, Richard Yong, conquered a field of 35-entrants to win the HKD 250,000 Six-Max, and Mikita Badziakouski won the HKD 1,000,000 Main Event beating 63-entrants to secure the $2,499,184 first prize. 2.1k away from Montenegro, as the crow flies, lies the Merit Crystal Cove in Kyrenia, and between Wed 8 and Sat 11 May, there will be a $25,000 buy-in No-Limit Hold’em Super High Roller as part of the Merit Poker Classic. After raiding the European larders of chicken legs, noodles and every yellow brick they can find it’s off to Las Vegas and the World Series of Poker (WSOP). The 50th Anniversary special runs between 28 May and 16 Jul, and beginning on Friday 31 May is the $50,000 No-Limit Hold’em (50th Annual High Roller) High Roller with a single re-entry. Last year, the $50,000 No-Limit Hold’em fell at the end of the series with Benjamin Yu defeating 128-entrants to claim the $1,650,773 first prize. We’re off to see the wizards…. The click of the receiver. There’s nothing left to do, except to dig into the scrambled egg world of high stakes poker. We begin with a look into the lives of the people who gnaw their way out of the womb and into the largest buy-in live multi-table tournaments (MTTs) in the world – first stop, the Seminole Hard Rock in Hollywood, FL. The World Poker Tour (WPT) set up camp from Thu 4 April – Tue 16 April, and one of those tepees contained the largest buy-in event in the world last week: $25,500 No-Limit Hold’em. The $2m GTD event attracted 99-entrants, and the double WPT Main Event Champion Aaron Mermelstein defeated the Global Poker Index (GPI) #1, Alex Foxen, heads-up, to bank the $618,955 first prize. It was the first time Mermelstein had cashed in a $10k+ buy-in event outside of the World Series of Poker (WSOP) Main Event. Ali Imsirovic sneaked into the money in that one, and three days later turned up at ARIA and beat 24-entrants in a $10,500 No-Limit Hold’em event. It was the Poker Masters’ fourth tournament victory of 2019. The third-place finish for Seth Davies was his third top-three finish in $10k Vegas events in April. There were zero $25k+ events in Europe this week, but a high roller reg did win a tournament during the World Series of Poker Circuit (WSOPC) UK at Dusk till Dawn (DTD) in Nottingham. Orpen Kisacikoglu won the £5,300 No-Limit Hold’em High Roller, beating Sam Trickett, heads-up, to claim the £90,000 first prize. The event attracted 31-entrants. It was only Kisacikoglu’s second live tournament win despite making 11 final tables in High Roller events in 2018. In other live tournament news, the $25,500 WPT LAPC winner, Maria Ho, hopes to become the second female to win a WPT Main Event after making the final table of the WPT Seminole Hard Rock Poker Showdown. Ho sits second in chips, and the final takes place Thu May 30 at the HyperX Esports Arena in Las Vegas. Dan Smith will not feature in either the PokerStars European Poker Tour (EPT) in Monaco, or the Triton Poker Series in Montenegro instead keeping his powder dry for Vegas. And speaking of Triton, the brand has added the online betting company 12Bet as their Official Betting Partner. The new deal begins in Montenegro in May. There was a $25,500 buy-in partypoker POWERFEST Championship event the week. The game engaged the minds of 105-entrants, and the Russian PhileasFogg won the $643,125 first prize, a record for that pseudonym. And we have a new PocketFives World #1. Andras ‘probirs’ Nemeth replaces Roman ‘Romeopro’ Romanovskiy at the top of the world rankings for the first time in his career. The Hungarian high roller star hit the top spot after a fantastic first half of April that has seen him win the $10,300 buy-in, $1m GTD partypoker POWERFEST Championship for $311,150, the $1,050 buy-in, $100k GTD PokerStars High Roller Club Daily Warm-Up for $30,435.89, and the $1k Blade on the GGNetwork for $29,340.51. Nemeth has won $12.8m playing online MTTs. Triton Poker and partypoker hired Jason Koon, not just because he turns his high stakes opponents into suckling pigs, but because he is also a leader, and this week Koon has turned his attention to the possibility of creating a poker player’s union. Would it be possible to create a poker players union or other model that would allow people who file as professional poker players access to group insurance and other benefits? I would happily devote effort to help facilitate discussions if possible. Martin Jacobson appeared in the London Evening Standard this week. The article is a little cat on the leash, but it’s worth pointing out that Jacobson believes to compete with the best in the business you have to consider yourself an elite athlete. One man who knows a thing or two about elite athletes is Harabalos Voulgaris, and the occasional, high stakes poker punter, has been falling in love with the meditation app Headspace this week. 53 days and climbing. Headspace isn’t the only meditation app on the market. We have one in the higher echelons of poker in Fedor Holz’s Primed Mind, and this week, the German star was in Coachella playing Connect 4 as mindfully as he could. In other high stakes jinks, Sam Trickett has sold his home in Retford and moved lock, stock and two smoking barrels to Ibiza, Phil Hellmuth is going to be the victim of a WPT Roast, and a few folks in the poker community are none too pleased that it will be a private affair. One man who has been on the end of a few Hellmuth roasts is Davidi Kitai, and this week the Belgian HR picked up three awards at the Belgian Poker Awards. Igor Kurganov and Philipp Gruissem’s Raising for Effective Giving (REG) released their 2018 Transparency report. In 2018, REG donors gave $5,160,173 to cost-effective charities, a 20% increase YoY. Chris Kruk is still banging on about the Global Poker Awards and suggests Eric Danis and the team should consider a ‘Bubble of the Year’ award instead of a ‘Live Tournament’ award. And finally, Tom Dwan tweeted something for the first time since July 2018. I guess it’s finally coming out in the news that trump’s a golf cheat. It’s like Stone Roses albums. We end with this week’s High Stakes Tweet of the Week, and it goes to Bill Perkins, who throughout his recent tour to Japan, continued to force humanity to think about the most pressing matters in life – like not getting splashbacks on your white chinos. There is an exciting battle currently ongoing between PokerStars and partypoker to court the attention of the people who play the highest stakes in the business. A hive mentality that could benefit the ecosystem as a whole doesn’t function between these two. It’s bee eat bee. In previous years, partypoker’s POWERFEST has aligned with PokerStars’ Spring Championship of Online Poker (SCOOP) and World Championship of Online Poker (WCOOP). Rob Yong admitted this had been a mistake, and they rectified it by going it alone. Only those employed to worry about such things will know if the move was a success. We know one thing. The first POWERFEST of 2019 is over, and bloodshot eyes have the opportunity to return to pristine rose petal white. A few members of the high rolling fraternity earned some big bucks (whether or not that means they emerged from the series in profit is another thing entirely). One of the earliest winners in the series was Sam “DeanMalenko” Greenwood who defeated 141-entrants to win the $5,200, $500k GTD 8-Max event for $162,079. Greenwood has earned more than $6.7m playing online multi-table tournaments (MTTs), $1.89m of which has come from partypoker’s tables. Winning substantial six-figure scores online is not uncommon for Greenwood. The Canadian has clocked-up 12 of them throughout the past decade, with a 2013 SCOOP victory in a $2,100 buy-in event for $377,280 ranking as his best. As a member of partypoker Team Pro, high roller, Dzmitry “Dzmitry_Urbanovich” Urbanovich, has a contractual obligation to playing in anything (or perhaps he loves it). The Pole won a $5.50, $5k GTD PKO Fast 8-Max event beating 1,452-entrants to claim the POWERFEST title and a few grand in pocket change. Urbanovich has earned close to $2m playing online MTTs with more than 75% of that bounty coming from PokerStars’ tables. Urbanovich’s most significant online MTT score came last year when he won a $10,300 8-Game High Roller during WCOOP for $225,000. Few people are playing as well, live and online, as Andras ‘probirs’ Nemeth, and the Hungarian added another notch on his headboard with victory in the $10,300 buy-in, $1m GTD Championship Event. Nemeth beat 127-entrants to collect the $311,150 first prize. Michael “ilove2fish” Telker came second, Conor “ADRIEN_BRODY” Beresford third, and Joao “joaosimaobh” Simao fourth. Nemeth has earned $12.8m playing online MTTs, and only four people have ever made more. He is currently ranked #1 in the world, overtaking Roman “Romeopro” Romanovsky in the past first days, the first time the Hungarian has reached the pinnacle of the online MTT world. This win is Nemeth’s eighth six-figure online MTT score, and his most significant remains the $576,087 he won for taking down the $25,000 Super High Roller during SCOOP last year. There was one $25,500 buy-in event on the POWERFEST schedule, and Russia’s PhileasFogg took time out from travelling around the world in 80-days to win it. The $2.5m GTD Championship Event pulled in 105-entrants, creating a $2,625,000 prize pool, and the Russian picked up $643,125 for the win. Viktor ‘Isildur1” Blom finished fourth and Kristen Krissyb24” Bicknell busted in ninth. PhileasFogg has earned $9.6m playing online MTTs, with $4.2m coming from the PokerStars tables where he or she performs under the monicker ‘hello_totti.’ The POWERFEST victory is the most significant to date smashing the $160,888 he or she won after taking down the Sunday Million in August. It’s been a quiet month on the high roller front. Let’s call it the calm before the Triton Poker Series Montenegro storm. The Poker Gods are up there sharpening forks of lightning and creating boom boxes full of thunder. The greatest players in the world are in the starting blocks, finding traction, hearts beating in anticipation of another chance to create history. The World Poker Tour (WPT) may have failed in their bid to create a home for High Rollers when the Alpha8 dream collapsed and drowned beneath a wave of something devastating, but they are slowly adding more $25,000+ events in conjunction with casino partners. The WPT Seminole Hard Rock Poker Showdown in Hollywood had two such events. 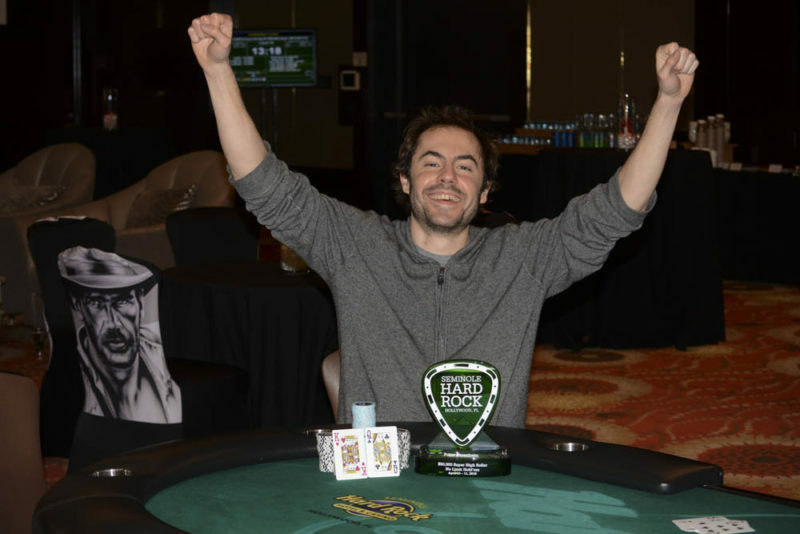 Elio Fox defended his title in the $50,000, $1m GTD No-Limit Hold’em Super High Roller. Fox conquered a field of 20-entrants to bank the $440,000 first prize, five fewer than when he won this title in August. The win was Fox’s sixth live tournament victory in $10,000+ events since he re-emerged on the live tournament scene since winning his second gold bracelet in the summer, as well as finishing runner-up to Nick Petrangelo in the $100,000 No-Limit Hold’em event in the same series. Here are the ITM results. Poker Central High Roller of the Year, Sam Soverel, Global Poker Index (GPI) World #1, Alex Foxen, and the Poker Master, Ali Imsirovic, also cashed in the $25,500, $2m GTD No-Limit Hold’em High Roller. Foxen went the furthest, losing to the eventual winner, Aaron Mermelstein, in heads-up action. Foxen has had a bright start to 2019, making eight final tables in live tournaments asking for $10,000+. And yet he hasn’t crossed the finishing line, making it to the last three places, on four separate occasions. It’s there, around the corner. The victory was Mermelstein’s first at these stakes, and the first time he has cashed in a $10,000+ buy-in event outside of the WSOP Main Event. The two-time WPT Main Event champion picked up $618,955 for the win, but it wasn’t his most significant score. That came in 2015 when he defeated 989-entrants to win the $3,500 WPT Borgata Winter Open for $712,305. The WPT do things a tad different these days. Main Event players that have generated enough heat to set fire to a forest have to cooldown as they wait for the final table to play out at the HyperX Esports Arena in the Luxor Hotel & Casino on the Las Vegas Strip. The $3,500, $3m GTD WPT Seminole Hard Rock Poker Showdown Main Event is one such event. It attracted 1,360-entrants, and one player who frequents the High Rollers had made the final table. Maria Ho sits second in chips behind the WPT Champions Club member, James Carroll. Ho is in fine form. She became a WPTDeepStacks Champion in October after beating 387-entrants to win the $69,166 first prize, and since then she has had a deep run in the PokerStars Caribbean Adventure (PCA) Main Event (29th), and beaten Kristen Bicknell, heads-up, to win a $25,000 High Roller during the WPT LAPC for $276,690. Also, Ho won the Broadcaster of the Year award at the Global Poker Awards, so if poker doesn’t work out, she can still feed Rainer. The final table reconvenes on Thursday, May 30. High Rollers who carried a cross deep into this one included Erik Seidel (35th), Aaron Mermelstein (53rd), Niall Farrell (55th), Robert Mizrachi (57th), Seth Davies (64th), Darren Elias (89th), Anthony Zinno (96th) and Brian Hastings (139th). Brian Altman made the final table of the $5,000 No-Limit Hold’em finishing seventh, and then went on to win both the $1,100 No-Limit Hold’em Six-Max, and the $1,650 No-Limit Hold’em Purple Chip Bounty for approx. $100k in total. 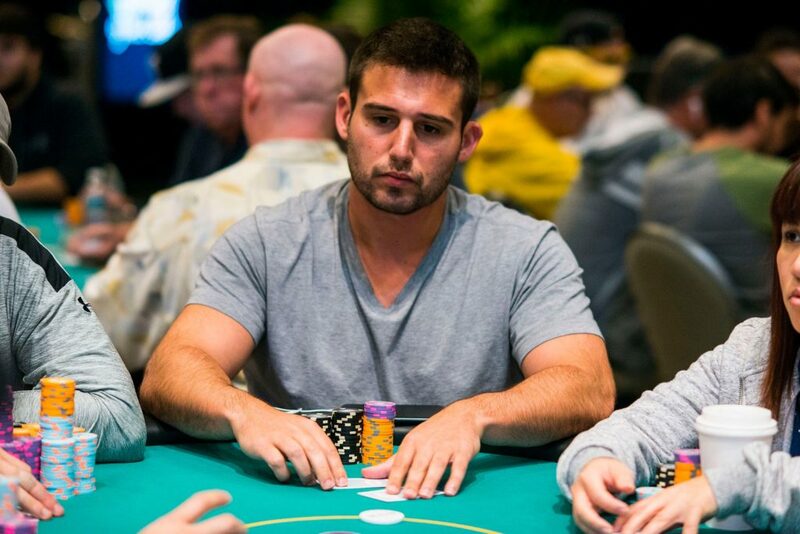 Altman is currently the leader of the Global Poker Index (GPI) Player of the Year race. The Irishman, Gavin O’Rourke, had a fine festival, winning two events, despite a whole host of High Rollers on his coattails in the $2,200 No-Limit Hold’em 8-Handed event, with Jake Schindler (4th), Elio Fox (5th), Niall Farrell (14th) and the former NFL star, Richard Seymour (21st) running deep. Ben Yu finished 5/56 in the $2,200 Pot-Limit Omaha Deep Stack event, and Kristen Bicknell (6th) and Brian Altman (7th) both made the final table of the $5,000 No-Limit Hold’em. The World Series of Poker Circuit (WSOPC) in Dusk till Dawn, Nottingham, UK, didn’t have any $25,000+ buy-in events on the schedule, but there was one high roller who turned up, unperturbed. Orpen Kisacikoglu was the star of the show cashing in three events, and winning one. 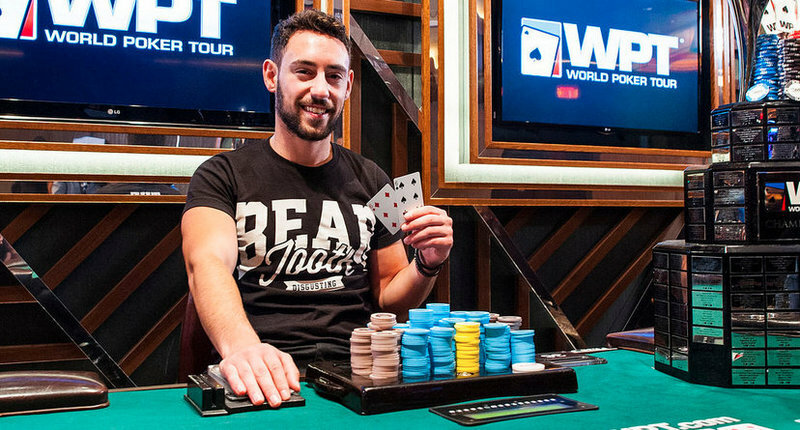 The Turkish High Roller finished 57/1737 in the £330 No-Limit Hold’em Colossus, 20/1023 in the £1,100 World Series of Poker Circuit (WSOPC) Main Event, but he saved his best for the £5,300 No-Limit Hold’em High Roller. The event attracted 31-entrants, and Kisacikoglu beat Sam Trickett in heads-up action to win the £90,000 first prize. It’s a significant milestone for the Turkish star as it’s only his second live tour win, and his first in two years, after winning a $10k event at the PokerStars Championships in Panama (beating a final table housing Adrian Mateos, Koray Aldemir, Mike McDonald and Michael Watson). Kisacikoglu made 11 final tables in High Roller events in 2018 without booking a win. The only other WSOPC UK event that saw several High Rollers float towards the top of the pile was the £2,200 No-Limit Hold’em High Roller. The former World Series of Poker Europe (WSOPE) Main Event winner, Jack Sinclair, finished third, Paul Newey finished sixth, and although he isn’t a High Roller, he does put enough food on their table, so it’s worth mentioning that partypoker MD, Tom Waters, finished 10th. The event attracted 104-entrants. As dentists around the globe begin rubbing their hands over the prospect of an influx of chocolate stained toothy customers, April also includes three opportunities for our high rollers to win some Fabergés. 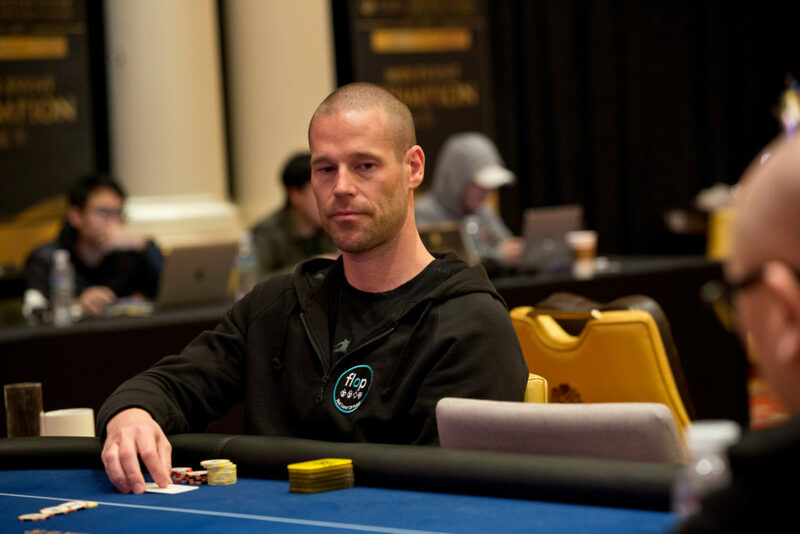 The Estonian capital of Tallinn and the Olympic Park Casino is the venue of choice for Patrik Antonius as the Finnish megastar breaks new ground in creating a tournament series carrying his name. The purpose of the Patrick Antonius Poker Challenge is for Antonius to gain maximum exposure for his new app: First Land of Poker (FLOP). Antonius has been mute on the finer details of FLOP, but all that will change once the event kicks off 31 March – 7 April. Antonius has buy-ins across the full breadth of pay scales, and the reason we are talking about it is that on Wednesday 3rd April there is a €25,000 No-Limit Hold’em PAPC High Roller. Daniel ‘Jungleman’ Cates is one of a plethora of high rollers coming out to support Antonius. If you want to swing along then there is also a €10,300 No-Limit Hold’em PAPC Championship Event spread over two days Sat 6 – Sun 7 April, and plenty of opportunities to compete in high stakes cash games. Heading over to North America, and the Season XVII of the World Poker Tour (WPT) rumbles on with the Seminole Hard Rock Poker Showdown from the Seminole Hard Rock Hotel & Casino, Hollywood, Florida 4 – 16 April. The hosts are going bold in this one hosting a $50,000 No-Limit Hold’em Super High Roller for the first time Wed 10 – Thu 11 April, in addition to their customary $25,500 No-Limit Hold’em High Roller Mon 15 – Tue 16 April. Last season, Brandon Adams, defeated 40-entrants to win the $370,000 first prize in the $25,500 No-Limit Hold’em High Roller. There is also the opportunity to win some big money for a relatively small outlay when the $3,500 WPT Seminole Hard Rock Poker Open Main Event begins 4 – 16 April. High Rollers that tend to do well at the Seminole Hard Rock in Hollywood include Daniel Colman ($2,510,966), Justin Bonomo ($2,480,463), Jake Schindler ($1,924,015), Jason Koon ($1,529,524) and Jason Mercier ($1,453,247). The ARIA is the home of high rolling live events in North America, and they have two games of note pencilled in for April. Fri 19 April – $26,000 No-Limit Hold’em High Roller. Sat 20 April – $26,000 No-Limit Hold’em High Roller. Here is the current ARIA Top 10 All-Time Money and ITM Cashes Lists. It’s not easy to pin the tail on the Nebuchadnezzar of the poker industry. Is the king of poker a cash game player; tournament player; online; live; or the perfect blend of both. And who casts a vote? Should we shrink the crowd to the droplet of the poker community, or should we broaden it across the ocean of hundreds of thousands of people around the world who have the game running through their veins? If we did the latter, then one name would surface as the king. A name that the poker industry insiders would scoff at when naming him as the top man, but the poker industry is like Hogwarts. The muggles don’t get to see what’s going on beyond the train station wall. Phil Hellmuth Jr. spent the last week in Rio de Janeiro as partypoker’s guest during their inaugural MILLIONS South American adventure. As is standard with the man who seems to dwarf any tournament that he rocks up to, his performance off the felt seemed to attract more attention than on it. On this occasion, Hellmuth Jr’s PR team thought it would be a cracking idea if he entered the $10,300 MILLIONS Main Event accompanied by a samba band resplendent with thong-wearing women, and drummer boys. Only Hellmuth decided to jig into the tournament arena late, drawing precious attention away from the action, and onto him (although I suspect most observers were looking at her, her and her). What are your thoughts on Hellmuth’s grand entrances – are they good or bad for the game, and should time be built in for them to avoid bugging the rest of the field? Hellmuth didn’t have a great run on the felt. The 15-time World Series of Poker (WSOP) bracelet winner only cashed in one event, finishing 3/67 in the $550 No-Limit Hold’em – Win The Button. 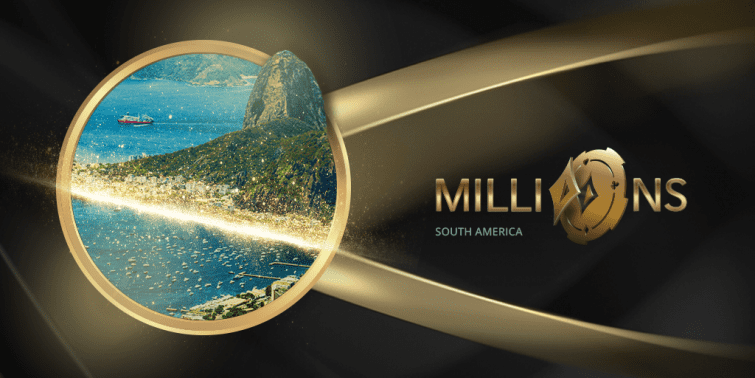 MILLIONS South America held two $25,000 buy-in events. In the first event, 41-entrants created a prize pool of $994,250, in the $25,000 No-Limit Hold’em Enjoy Punta del Este Super High Roller. partypoker’s decision to use the South American casino as a sponsor provided $500,000 in casino chips distributed between the final five players. 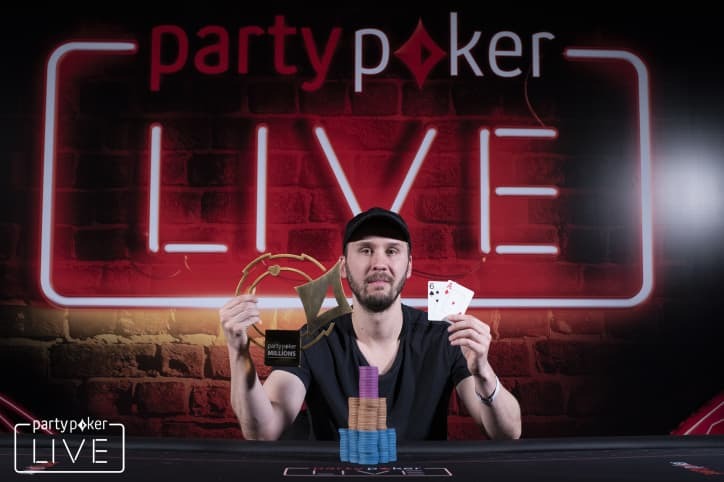 The winner was Jonathan Depa, who defeated Alex Keating, heads-up, to win his first live tournament, after losing heads-up on four separate occasions in the past eight months. Depa picked up $400,000 for his win plus $150,000 in Enjoy casino chips. By the time the second $25,000 event came around the corner, those who could afford such a sum seemed to have left fearing the plague with Joaquin Melogno topping a field of 14-entrants to win the $180,000 first prize. It was a cracking MILLIONS series for the Uruguayan who also finished 3/97 in the $10,300 High Roller. The next partypoker MILLIONS event takes place 13-26 May at the Playground Poker Club in Montreal, and there is a two-day CAD 25,000 Super High Roller on the schedule for Sat-Sun 25-26 May. During the Triton Poker Series in Jeju, we sat down with the Dusk till Dawn (DTD) owner, and partypoker insider, Rob Yong, and learned more on his strategy to make partypoker the #1 live streaming powerhouse in the world. The revolution began when partypoker became the sponsor for Bill Perkins’ The Thirst Lounge and then continued when the likes of Jeff Gross and Matt and Jamie Staples joining the team. And this week, more news hit the grapevine. partypoker is now the primary sponsor of No-Limit Gaming (NLG), the Esports and poker outfit spawned by high stakes poker players Fedor Holz, Stefan Schillhabel and Stefan Sontheimer. The news means that NLG streamers will play on partypoker’s software, and the team will be present at as many MILLIONS events as they can muster. High rollers live streaming for NLG include the Triple Crown winner Niall Farrell, one of the best players in the world right now, Rainer Kempe, and former Triton Poker Series winner, Manig Loeser. As a partypoker ambassador, Fedor Holz would have been instrumental in carving out the NLG deal, and this week, the former Triton Poker Series winner, wrote a blog post on his 2019 goals. Give one day for others. You can catch the full list, right here. Holz wasn’t the only partypoker ambassador ‘sharing’ this week. PokerNews caught up with Sam Trickett to talk his life before poker, specifically, his experience as a semi-professional footballer. You can read the two-part article right here. And Trickett wasn’t the only high stakes poker player talking about his life before the game. The Aussie Millions Main Event winner, Bryn Kenney, also joined the fray to talk about the importance that Magic the Gathering had on his life. Finally, it’s not often that you see Alex Foxen sitting down for an interview, but SoMuchPoker got the scope recently. Learn more about the Global Poker Index (GPI) #1 right here. Foxen and his partner Kristen Bicknell will be in Las Vegas on April 5 to pick up their awards for the 2018 GPI Player and Female Player of the Year at the inaugural Global Poker Awards (GPA). The GPA is the amalgamation of the European and American Poker Awards, operated by the GPI, and the industry widely criticised the nomination process, particularly in the Live Streaming and Vlogging Categories. A 130-person nomination panel nominated Jason Somerville as Streamer of the Year despite the PokerStars ambassador hardly putting out any content, and noises of discontent clanged over Doug Polk’s nomination in the Vlogger of the Year Category, with Polk himself calling the awards a joke. The GPI reacted by posting a statement on social media reassuring the community that they had taken the feedback on board and would make the necessary changes in 2020. In the meantime, here are the High Rollers up for nomination. Justin Bonomo and John Cynn fight it out with Maria Lampropulos and Dylan Linde for the Tournament Performance of the Year. Ali Imsirovic and Michael Soyza feature in the Breakout Player of the Year Category alongside Ping Liu and Maria Konnikova. Doug Polk and Daniel Negreanu feature in the Vlogger of the Year Category alongside Marle Cordeiro, Joe Ingram and Andrew Neeme. Maria Ho and Nick Schulman are in the running for the Broadcaster of the Year award. Cary Katz and Rob Yong could win the Industry Person of the Year prize. ARIA’s Paul Campbell is a favourite to win the Tournament Director of the Year award, and Triton Poker Series livestream broadcaster, Lex Veldhuis, features in the Streamer of the Year and Broadcaster of the Year Categories. PokerStars announced the dates ( May 12 to May 27) for the Spring Championship of Online Poker (SCOOP), but have so far left the meat out of that particular sandwich. The Triton Poker Series returns to the Maestral Resort & Casino in Montenegro May 5 to May 17. It’s going to be the biggest Triton event ever, with ten events spread over 13-days, including new formats such as Short-Deck and No-Limit Hold’em Turbo, and Pot Limit Omaha. You can read the full schedule here. We will leave you with the tweet of the week, and this little gem from Erik Seidel. At the turn of January, Jonathan Depa asked his Twitter followers if there was a waiting list for a SureFly Octocopter, a drone-like miniature helicopter that anyone can fly if you have a spare $200,000. The $25,000 buy-in Enjoy Punta del Este Super High Roller is one of two $25,000 high rollers on the MILLIONS South America schedule, but it’s the only one where the sponsor (Enjoy Punta del Este) gave $500,000 in complimentary casino chips to the final five players. It’s the first $25,000 High Roller of the 2019 MILLIONS season, and the numbers are lower than anything the partypoker team saw in 2018. The £25k MILLIONS UK pulled in a crowd of 51 entrants, there were 47 in Sochi and Canada, 45 & 51 in Rozvadov, and 88 & 90 at the MILLIONS Barcelona Grand Final. The Rio event captivated the interest of 41-entrants. The field might not be the same size as its 2018 counterparts, but the game was still as ferociously contended (it’s not an event you can advertise on a passing Rio bus). Five people would make money, meaning three of the eight who made the final table would end up with nothing but a lava lamp bubble to show for their $25,000 (plus re-entries). Triple Crown winner, Niall Farrell, began the final table with a chip lead twice the stack of his nearest competitor. Big piles can quickly become small piles, and that’s what happened when Farrell got it in threeway with pocket queens up against the ace rag of Ben Lamb and Patrick Mahoney. There were only two aces in the deck, and one of them emerged to triple-up Mahoney, send Lamb to the rail, and put a sizeable dent into the Great Wall of Farrell. Farrell’s misery continued when Alex Keating doubled with pocket eights beating nine-deuce, and then he ran pocket jacks into the pocket kings of Depa. The mortal wound came when Farrell lost a flip against Mahoney, and John Cynn gobbled up the Scot’s last big blind. The demise of the once mighty chip leader led to the money bubble, and Diego Zeitler took the honour running A8 into Cynn’s QT, with the reigning World Series of Poker (WSOP), Main Event Champion, turned a ten much to the joy of the remaining five players. Ivan Luca was the first to exit after the bubble running K7 into the AT of Mahoney, Cynn moved all-in holding T9 in the small blind only for Depa to turn up with pocket kings in the big blind to send the World Champion to the rail in fourth place. And we were heads-up for the title after Mahoney lost a flip against Keating: KT<44. It was Keating v Depa heads-up for the title. Keating had a 50% win rate from four heads-up matches over the years, and Depa was experiencing a miserable run that had seen him lose all four of his professional heads-up encounters in the past eight months. The pair exchanged the chip lead over two levels until the final hand saw Keating move all-in holding K3o, and Depa calling and holding with A6o to win the first live tournament of his career. Here are the ITM finishes. The second $25,000 of the partypoker MILLIONS South America is currently underway, and we will bring you news of the result as soon as it ends. The barista in your local coffee shop will remember your name if you act with all the airs and grace of a person who boils the contents of one’s skull. They will also not forget you if your presence at the till is illuminating enough to melt the darkness of the mind. In the first instance, there is no utterance of your name – reviled like copperhead snakes, corpses and constipation. Act with the beauty and charm of the latter, and a shower of motivation rises from that optimistic spring. Honest recognition is a pleasing thing, and it’s for this reason that Poker Award Ceremonies, for all the trolling and teasing, are a critical part of the poker ecology. It is a feedback loop. It informs the people, many of whom don’t have a leader, how well they are doing. And it doesn’t matter if you are a dirty black crow flying through the filth of our air, or a Golden Eagle sitting in your nest, looking out across a panorama that makes a stone man cry. We like feeling the work we do matters; because that means we matter. 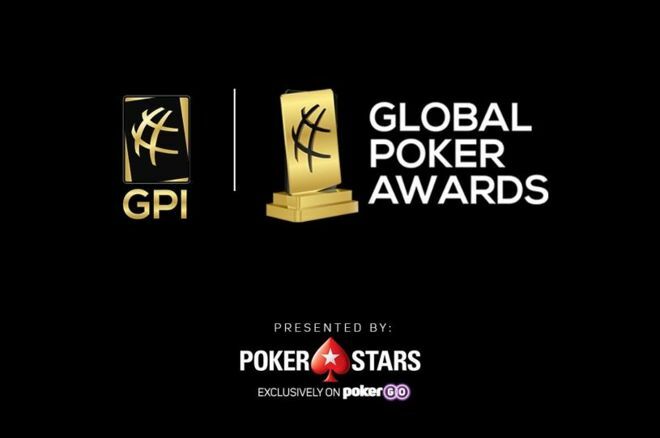 On Friday, April 5, the Global Poker Index (GPI) merges the American and European Poker Awards to create The Global Poker Awards (GPA). PokerGO hosts and broadcasts the event live from the PokerGO Studios at the ARIA in Las Vegas. Poker Central is a prominent partner, as is PokerStars. The nomination process for short-listing the 13 Categories is complete, but not without a large wedge of controversy. Media outlets across the board and a smattering of high profile poker players complained about a nomination process that voted for the likes of Jason Somerville (Streamer of the Year), and Doug Polk (Vlogger of the Year) despite both cutting back to the bare bones of poker content. The GPI reacted to the controversy by releasing the following statement. How Did The High Stakes Strata Feature? The results of two awards are already common knowledge with the high stakes power couple Alex Foxen and Kristen Bicknell already in situ as The GPI Player of the Year and Female Player of the Year, respectively. The Hendon Mob All-Time Live Tournament Money Earner, Justin Bonomo received two nominations: The Tournament Performance Category for his win at the Super High Roller Bowl IV, and The Moment of the Year Category for winning the One Drop. The sight of John Cynn is a common one in high stakes cash games, and the World Series of Poker (WSOP) Main Event matches up with Bonomo in the Tournament Performance Category for that $8.8m win. Bonomo also faces stiff opposition in the Moment of the Year Category with Doyle Brunson’s deep run in the $10,000 No-Limit 2-7 Lowball Draw the likely favourite to win that one. Two High Rollers appear in The Breakout Player Category showing it’s possible to rise to the highest echelons of the game in a short space of time. Imsirovic receives a nomination for his victory at the Poker Masters, and Michael Soyza’s run that saw him win the GPI Player of the Year for Asia sees him hit the nomination list. Triton Poker Series broadcaster, Lex Veldhuis, is also in contention for two awards. Veldhuis is one of the favourites to win the Streamer of the Year award, and Maria Ho and former Triton Poker event winner, Nick Schulman, join him in the Broadcaster of the Year Category. Daniel Negreanu and Doug Polk once again square off in the controversial Vlogger of the Year Category, the community has recognised Rob Yong’s contribution to the growth of partypoker, and ditto Cary Katz for his work with Poker Central. Both Yong and Katz in the running for The Industry Person of the Year. Finally, High Rollers have decreed that the ARIA Tournament Director, Paul Campbell, should be included in the Tournament Director of the Year Category. Here is a full list of nominations. Roller Streak of SHRB China, SHRB and One Drop.